Want to visit Belize and you want to do it all? 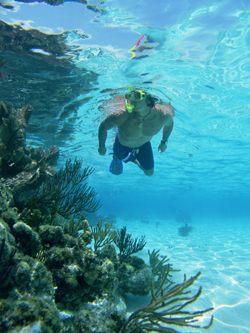 Belize Adventure Week, our 8-night jungle/island combo trip is on sale! Imitated but not equaled, Belize Adventure Week is widely acclaimed as one of the top adventure travel experiences found anywhere. 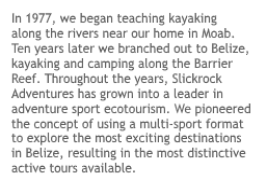 We specialize in adventure sport activities led by expert guides. In one action-packed tour you experience fifteen sports in eight days! Our adventure begins with an exploration of spectacular Che Chem Ha, where we see Mayan pottery left by shamans over a thousand years ago. That afternoon we run a whitewater river on sit-on-top boats. The next day we travel two hours to Tikal in nearby Guatemala. These impressive ruins have been expensively restored, representing the largest Mayan city every uncovered. 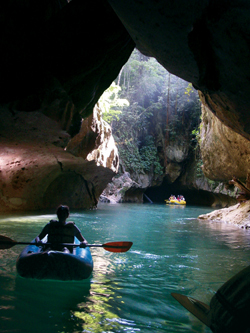 Finally we raft and kayak the Caves Branch River through nearly five miles of caves. Navigating by headlamp, we explore hidden chambers on this unique underground journey. 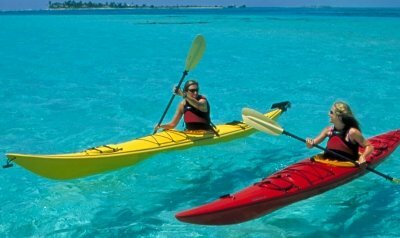 Midweek we transfer to our private island for three days of island sports.